Depke Welding and Gases is able to provide turnkey solutions for cryogenic services. We design and install gas delivery systems specific to our customer’s requirements. Determining the proper gas system for your application, includes understanding the correct pipe sizing and equipment necessary to maximize gas flow and pressures. Our installations include welding, cutting, healthcare, lab, and laser cutting systems among others. 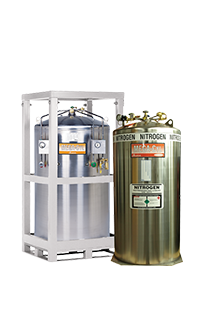 You can rely on our cryogenic technicians and gas experts to protect your investment. Whether you’re new to gas and liquid gas delivery solutions, or you’re looking to improve the efficiency of your existing system, Depke Gases & Welding Supplies’ extensive experience with cryogenics and cryogenic piping services allows us to tailor custom solutions to meeting your specific needs. Our technician’s will work with you to design and install your piping system in compliance with all current industry safety regulations to ensure you end up with a system you’re completely satisfied with.